Indira is a physician leader committed to engaging cross-sector collaborative efforts that address health and health-related quality of life issues for persons with spinal cord injury and other acquired disabilities. Dr. Lanig provides consultative facilitation and tools for administrators and clinicians committed to unified strategies as they seek to optimize fiscal and clinical outcomes. New ways of patient-centered thinking are necessary to move forward with agile and mission-driven courage. She facilitates with empathy, credibility and understanding. Indira spent 21 years as an attending physician at Craig Hospital. 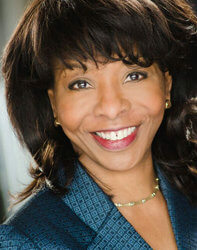 She has served as the Chief of the Spinal Cord Injury Services at the Houston, Veterans Administration Medical Center (VAMC), President of the American Paraplegia Society (APS), Chairperson of the Annual Scientific Program Committee for the APS, Co-Chair of the Congresses on Spinal Cord Medicine and Rehabilitation and the Medical Director of Northern Colorado Rehabilitation Hospital.